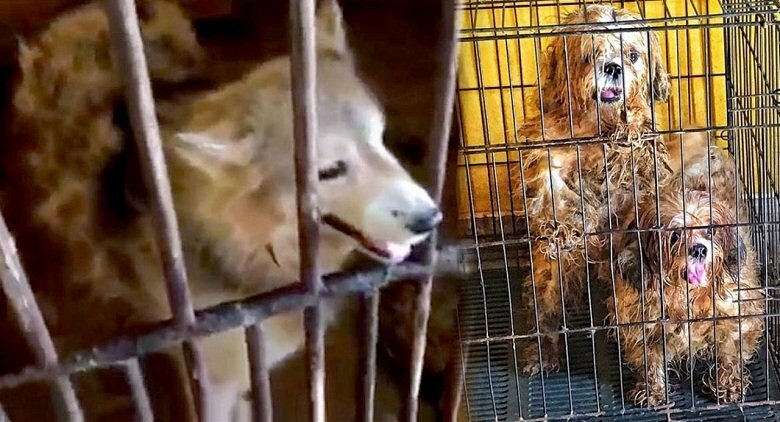 DOZENS OF sick dogs were this week rescued from a breeding farm in Chiang Rai’s Mae Sai district that allegedly kept them in poor living conditions and have been moved to Chiang Mai for medical treatment, Save The Elephants Foundation president Saengduan Chailert said on Thursday. 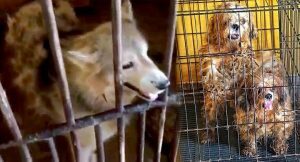 Most of the 61 dogs, who are now being temporarily kept at a separate section within the Elephant Nature Park compound in Chiang Mai’s Mae Taeng district, were suffering from pneumonia and infections to various parts of their bodies, she said, adding that four dogs were so seriously sick that they had been sent to Thong Lor Animal Hospital in Sansai district. 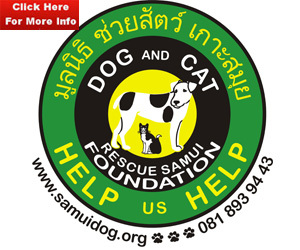 Tuesday’s visit to the farm in Tambon Pong Kha and the subsequent rescue of the dogs was conducted by the foundation in collaboration with the Facebook-based “SOS Animal Thailand” community page. The latter group is now in discussions with related state agencies about whether to lodge a police complaint against the farm owner over offences under the Cruelty Prevention and Welfare of Animal Act 2014. The two groups checked on the farm, which reared 80 dogs, after they received a complaint from nearby residents that they had heard the animals yelping in agony and noticed a foul smell coming from the farm. A further 19 dogs were also seized by Mae Sai Livestock Development officials. 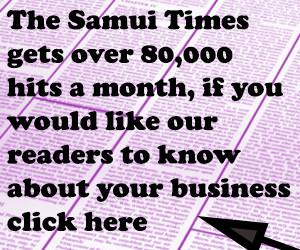 Dayin Petcharat, founder of SOS Animals Thailand, said the group had filed a request for a detailed inquiry into the farm’s operation licence; it was originally owned by a Thai woman who passed away and left the farm under her father’s care. “We are discussing with the Livestock Development Department’s Animal Welfare Division and Mae Sai authorities whether we can file a complaint as per the Cruelty Prevention and Welfare of Animal Act 2014. We are now waiting for the dogs’ health results before gathering information to file the complaint,” she added.